Welcome back to another monthly update! Try and get more content up on the site! Having done the rounds and invested time at a number of car dealerships over several weekends, I managed to negotiate a part exchange on our existing (premium) family SUV and acquire a decent second-hand family car that still met our needs but at a fraction of the cost. This felt like a ‘win’ as our car was only 18 months into a 3-year PCP deal and it is quite rare to be able to exit that deal so early into the term without facing a cash shortfall. Much like any other form of finance, interest is front-loaded meaning that the car inevitably depreciates at a faster rate than the outstanding loan balance. I managed to get out exactly break-even with nothing further to pay, thanks to the car in question being in both high demand and in great condition. With that car now off the scene, I waved goodbye to upwards of £35,000 of remaining payments (including the final balloon payment) had I kept the car through the agreement and purchased at the end. From there, I found a second-hand car with roughly 10,000 miles on the clock and in good condition at just over 16 months old. Yes, I could have found something a bit older and a bit cheaper, but when it is my wife driving it daily with the kids, there is something to be said for a car still in warranty and in good overall condition. Some quick sums suggested I was still getting the car for almost 30% lower than its ticket price new, thereby avoiding the steepest part of the new car depreciation curve which is really the killer when buying new. Next month, I’ll be switching the second car! Posts are also taking longer than I imagined. One such post is my Full Guide To Each Way Betting but its almost there. 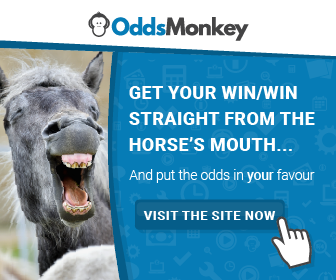 In case you are not familiar, one side hustle I have been exploring since mid-July is betting on the horses using a very specific strategy – one that exploits pricing differentials between the traditional bookmakers and the betting exchanges. Its very early days, but hopefully a profitable project as many other bloggers have reported. You can check out my monthly reports or visit my live results page for an up to date view of progress to date. There were a lot of moving parts during the month due to the change in our family car and the shifting around of assets, but how did this affect my overall net worth? Overall, my total net worth edged up 4.6% to £546,986 (an increase of £24,279). Excluding property, it was a 6.9% increase to £308,595 (an increase of £19,972). As you can see, in order to facilitate the change in cars I decided to sell down some of my investments that had performed very well over the past 12-18 months. Ordinarily, I would not advise selling investments in order to service outstanding debts (particularly in these are in tax-efficient accounts) but I view this as a corrective measure rather than something I will do frequently. I was also fairly comfortable doing so because the markets (in my opinion) are looking quite expensive and I anticipate some volatility in the months ahead. While I would always ride these periods out (as a long-term investor) should the market tank in the coming months, it would take away the means for me to make these important car switches (in the short-term at least) and I wanted to get this done asap. While investments were therefore reduced by a sizeable margin, it equally enabled me to reduce our unsecured debt by more than 50% from £52,361 down to £24,867 with a few additional thousand sitting in our liquid accounts in anticipation of the second car switch to come. Added all together, the net effect was certainly a boost to the financial health and bottom line net worth. I did contemplate eliminating the entire unsecured debt amount if one swoop, but I am somewhat cautious by nature, and redeeming any more of my investment accounts would have not felt like striking the right balance. Instead, I have temporarily taken on a loan with my bank (at sub 3% interest rate) to pay for the second-hand car in full (no dealership finance) and this will bridge the next few months until I receive my annual work bonus in the spring. The plan will then be to clear that loan in full in March/April next year.